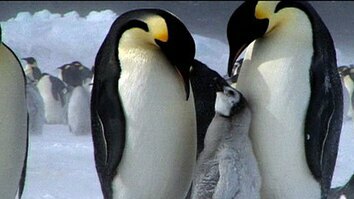 When it comes to staying in touch, penguins have the ultimate family plan. 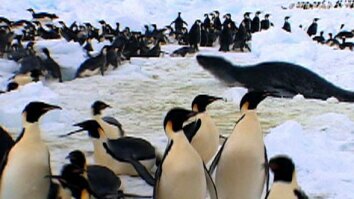 Even in a noisy colony of thousands, penguin parents and their chicks can always recognize each other's unique vocalizations. Penguins can't afford to lose track of their child. The chick's survival depends on it. Parents will dive down almost 800 feet to find fish for their chick. 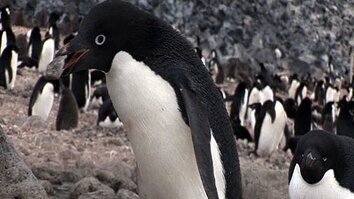 Then, after a hard day at the office, they return home to their islands around the Antarctic...and try to find their child. It's like a shopper wondering where they parked their car. If the parent feeds the wrong chick, theirs can starve to death. Fortunately, they have an astonishing solution. A parent can zero in on the audio frequency of its chicks chirp above the din of the thousands of equally loud parents and their chicks. And the chicks can zero in on their parents call as well. It's like walking into a stadium full of fans all talking at the same time and being able to pick out the voice of your child or your parents. If only they had a special call for: "Excuse me, coming through."